Located along the Fox River, in Kendall County, Oswego is 50 miles southwest of Chicago. Despite a population of over 32,000 residents, the Village of Oswego retains a small town feel and sense of community, which is why it’s such a popular choice among homeowners and business owners. Oswego boasts an excellent school system, which is why it’s a top choice for families. The area is also home to a variety of local businesses and restaurants, as well as many of the big name stores. The Village hosts a variety of community events, including: PrairieFest, the Christmas Walk, Wine on the Fox, and Drag Strip Days. There’s something for everyone in Oswego, which is why the town was ranked #58 on Money Magazine’s Top 11 Best Towns to Live in 2011. 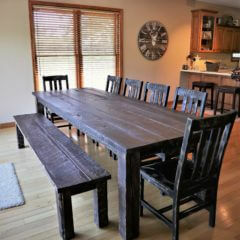 Rustic Elements Furniture is a local custom furniture shop serving the residents of Oswego, IL. 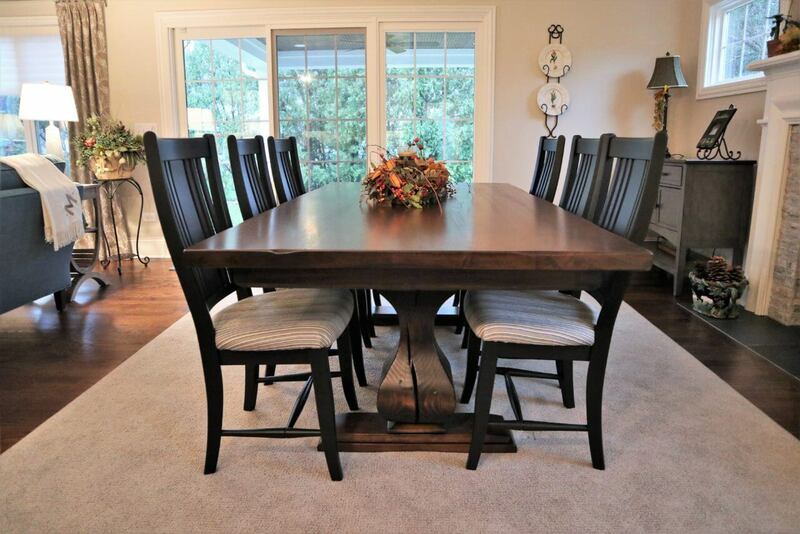 We pride ourselves on offering high-quality wood furniture in the Chicago suburbs, and while our showroom is located in Joliet, we’ve created custom furniture for residents and business owners across the entire Chicagoland area. While we can build almost any type of furniture, we specialize in handcrafted wood tables. 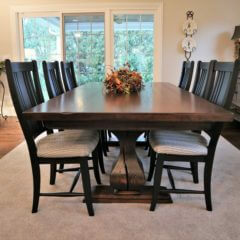 Our custom tables are built using the highest quality wood available, meaning they are extremely sturdy and durable. We also finish all of our pieces with a tough commercial grade finish imported from Italy. Our tables are scratch and dent resistant and will not be damaged by common household spills, such as wine, bleach, or nail polish. We believe in the quality of our tables, which is why we offer a warranty of up to 227 years! Looking for a new piece of furniture to make a statement in your home? Browse our selection of media centers, buffets, chairs, and island tops. You can also stop by our Joliet showroom to browse examples of our pieces in person and talk about your vision with our owner, Scott. We work with you every step of the way to build a custom piece that matches your vision. You are the designer, choosing everything from the color to the size to the styles and level of distress. 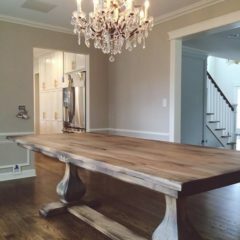 Don’t have time to wait for us to build a custom piece of furniture? Browse our current inventory to explore pieces that are available for immediate purchase. 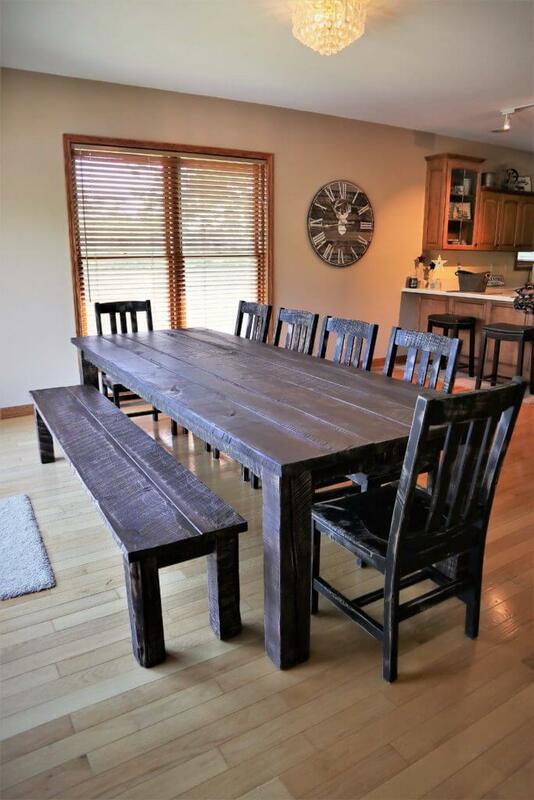 Contact Rustic Elements Furniture today to start designing your custom media center, table, or desk!